Climate Common Sense: Where have we heard that before? 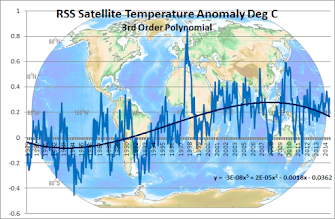 However climate scientists are not renowned for looking at real world data and prefer their graphs and models. In Australia we have a Professor from the School of Environment at Griffith University breaking Climate Prediction Rule No 1 which is not to make predictions verifiable in the near future. Professor Pickering has bravely predicted the imminent demise of Australian snow-fields by 2020 ignoring the fact that global warming has stopped and a healthy snowfall this winter has delighted skiers. ENVIRONMENTAL researchers say the end of Australia's ski culture is in sight, despite Victoria and NSW experiencing one of their best snow seasons in almost a decade. People were still shredding up powder last weekend at some of Australia's top ski resorts, but Griffith associate professor Catherine Pickering says snow is rapidly disappearing because of global warming and by 2020 Australia may not have any left. "We've predicted by 2020 to lose something like 60 per cent of the snow cover of the Australian Alps," Professor Pickering, from the Griffith School of Environment, said. "Unfortunately because our current emissions and our current rises in temperatures are at the high end of the predictions, it's definitely coming to us sooner and faster." 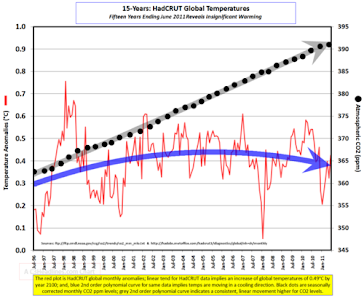 This is the satellite temperature data with the green line showing the rise in temperature referred to by the researcher and you would have to be a climate scientist to be qualified to see the rampant warming invisible to my untrained professional engineer's eye. Gotta love it! My models predict that a multitude of so-called climatologists and alarmist environmental professors will have no scientific credibility left by 2020 and a great many unemployed climatology students will be pissed at the value of their education from professors who should have held a better standard of scientific inquiry and personal integrity. I like snow and snow everywhere. But, the thing is that snow is easily handled on the road and it present everywhere. In that case you need to hire snow removal companies who help you for the snow removal. Industries want solar subsidies dumped. No emission savings from solar.